Lenten reflections take us a little further into Abram’s epic but troubled journey. 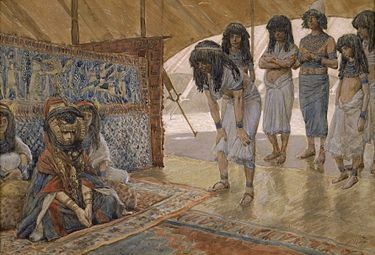 Genesis 12:4b-20 – the patriarch eventually finds himself in Egypt and, for cargo and self-preservation, makes his presumably comely wife (Sarai) available to the Pharaoh. Hardly a salubrious beginning for the father of the world’s three major monotheistic faiths! Stories of faith are inevitably messy affairs. We wonder how its going to end up for Abram (yet to be named Abraham), the great epitome of faith, when he gives in so readily to fear and expediency – especially when anxiety and the desirability of the quick fix are at the source of many of today’s woes, personally and politically. Today’s Huffington Post nevertheless repeats a story that has been on this blog before – and it points to a legacy of the kind of faith Abraham eventually inspires amongst his “children,” particularly when sibling rivalry has surpassed its most dangerous point. Read it at A pastor and an imam once tried to kill each other — now they work to heal Nigeria | Public Radio International.